Or, as the French say, Monsieur Moustique. This is a bi-lingual picture book, so in case you find yourself in Marseille and in need of addressing the buzzing insect circling your head, should you happen to have a copy of this book close by, you'd be in luck. It also contains other helpful phrases like Je suis agile et mal compris and Ils aiment m'ecraser et m'ecrabouiller. "I am agile and misunderstood," and "They love to swat me and squish me," respectively. 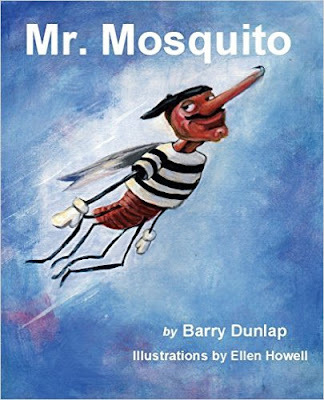 This is the story of a French mosquito... a French male mosquito... a fact which becomes highly significant at the conclusion. 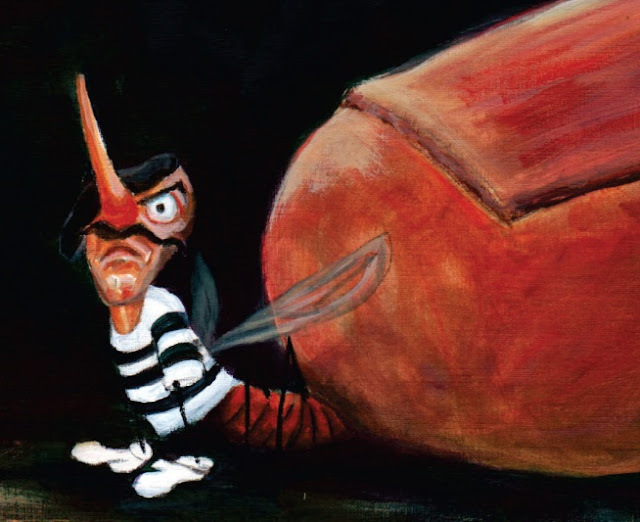 Mr. Mosquito is a misunderstood gentleman, who cannot help who he is. He does not apologize. 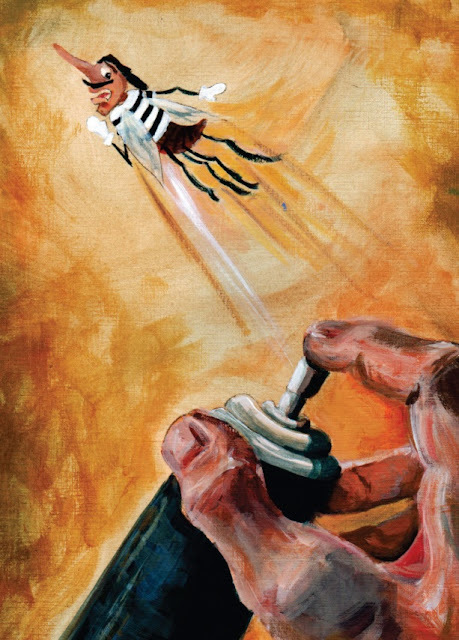 The illustrations by Ellen Howell are full of personality. I can just hear the tone and inflection of his voice, a noble Pepé Le Pew in hot pursuit, fearful for his life. I feel his injustice. The punchline comes at the very end, when we are finally informed that male mosquitoes do not bite. That honor is only for the female of the species. 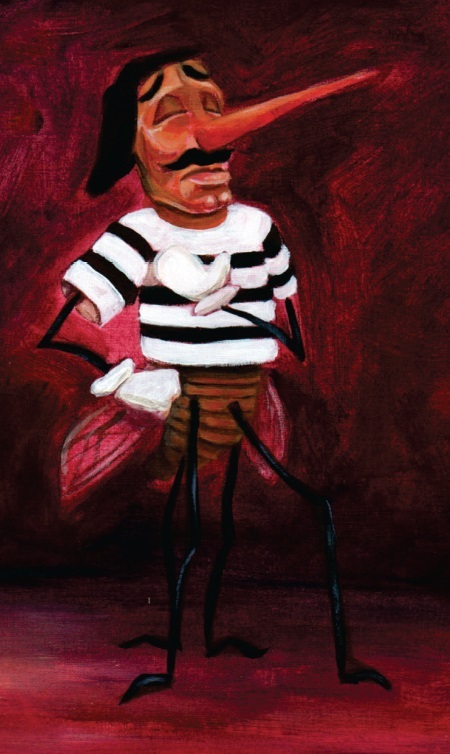 Monsieur Moustique must live his life on the run because of our prejudices. Such is his fate. But at least his dignity is intact!